Growing up, our mom made it a huge point to make sure that we had a good mental library of scriptures that helped support some of our core beliefs as Jehovah’s Witnesses. I remember memorizing several scriptures, where they were located in the Bible and how they explained our beliefs so clearly. This came in handy later in life when we attended public school for a time. I remember that even though I was only 8, I had a firm grasp on which scriptures I could use to explain my beliefs from the Bible. And I look back on my childhood with pride when I remember times when I could tell my fellow classmates what the Bible said on a whim and even encourage them to write down a scripture and look it up later when they got home. Of course, back then we didn’t have any kind of printables or special tools to help us memorize these beautiful scriptural gems. Mom would write them on on a simple sheet of paper and while not as flashy, it was simple and effective. But today we have something a little more colorful than what we had growing up for you! Included in this kit are 3 scripture memorization cards. We decided to place scriptures that are great for use in teaching others about our beliefs & hope for the future. 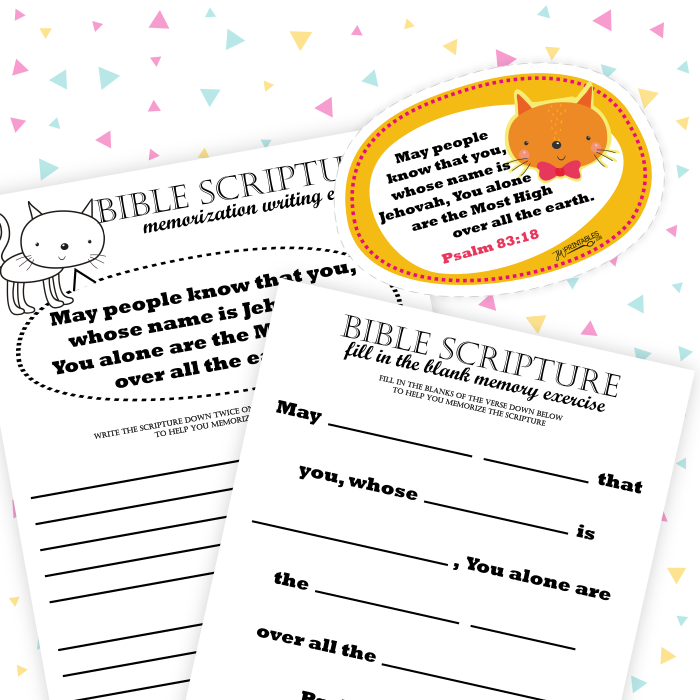 Also included are two additional worksheets per scripture to help aid in the memorization process. My mom was a serious expert at helping us to memorize our scriptures, so here are some great tips to help make memorizing Bible gems a little easier & more methodical. Pull out your memorization card everyday, and read the scripture. Try reading it in the morning when you wake up & before you go to bed. 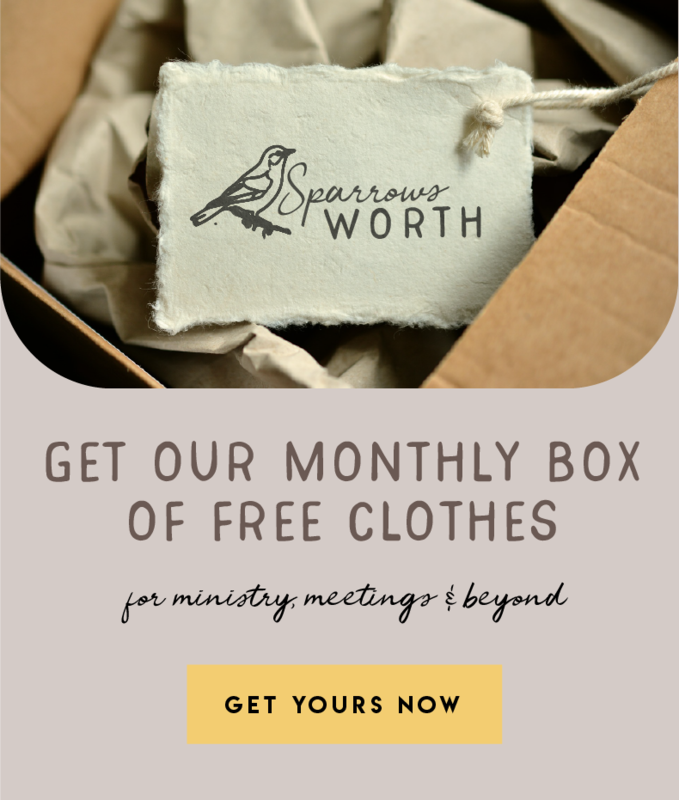 Think about what the scripture means and how you can use it to preach. Read the scripture out loud, hearing yourself say it will help you memorize it! Take a recording of yourself reading the scripture & listen to it. Try to write the scripture down from memory, if you can! Try to say the scripture on a rhythm or beat. Reading things rhythmically can help make memorization easier. As you start to memorize the scripture, try saying it to other friends or people you meet from memory. Walk around while reading the memorization card, for some people moving around helps aid in memorization. 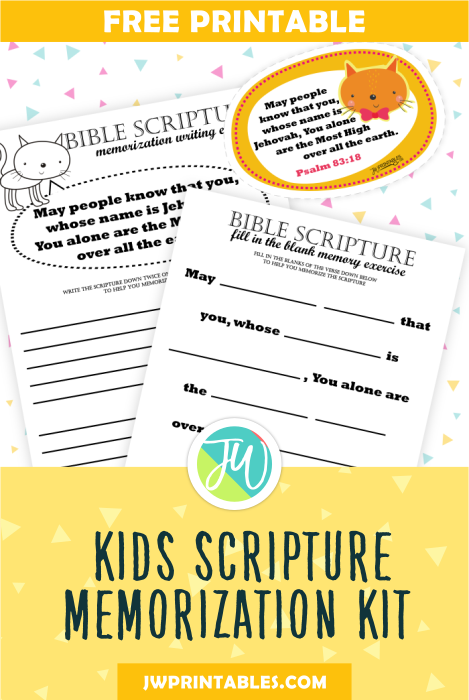 We hope this printable will prove useful to both parents and little ones learning to speak boldly about our wonderful God, Jehovah. To download, click the button below. Warm Christian Love! I love everything I have downloaded. It is amazing how you creative you all are. Thank you so much! Thankyou brother and sister for your kindheart through this amazing paper , help me so much! I’m so thankful to Jehovah that I found your website! Great help for homeschooling my kids! Thank you very much!! These will go along wonderfully with the items I just purchased from your shop. This is so adorable!! What a great practical and fun way to have our young ones love Jehovah’s word from an early age!! Thank you!! You’re Welcome LillyAnna! Thanks for dropping by!